How one CEO increased his company's success through "the power of doing nothing at all"
Our culture treats busyness as a badge of honor. One CEO says he found success by doing less. 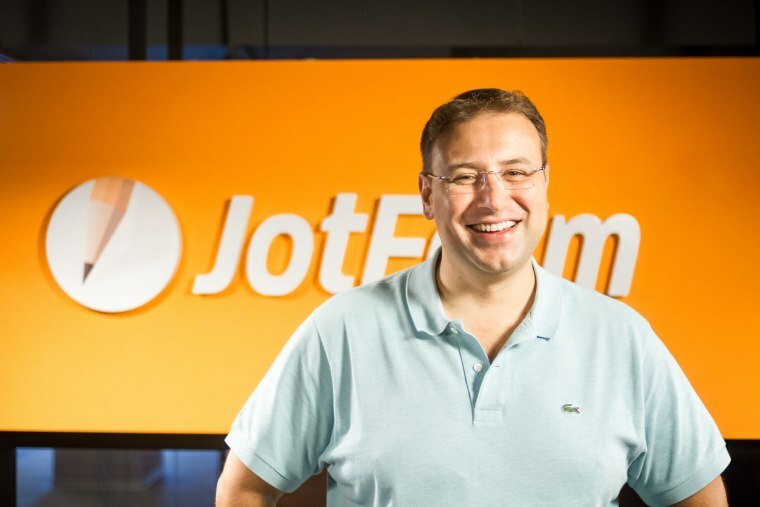 Aytekin Tank, JotForm founder and CEO, says too many people waste time on busy work. Once upon a time, there was an old alligator who slept in a river all day. A young crocodile would often swim by, showing off all the small fish he caught, while the elder ignored him. One day, as the old alligator floated lazily along, he suddenly snatched a wildebeest drinking near the river’s edge. It’s a story JotForm founder and CEO Aytekin Tank loves to tell. The entrepreneur, who grew the online form building business into a successful 100+ employee company, says people shouldn’t equate busyness with success. He lays out four reasons people waste time on busyness, and what they should do instead. People would rather get lost in the smaller problems, Tank explains, than have to deal with problems that overwhelm them. But ignoring big problems is a big mistake, he says. “It’s so easy to put off those things by spending all your time in busy work,” he says. When Tank was busy growing his company, he says he let his health go to the wayside. Once athletic, he injured his knee and stopped playing sports. He began to gain weight. Losing himself in busy work only contributed to his health woes, he recalls. He hired a personal trainer so he couldn’t make excuses any longer. Our modern-day culture treats busyness as a badge of honor, says Tank. The solution, he says, is to focus on high priorities instead of small problems. People like to feel busy because they believe it means they are making progress, explains Tank. Busy work doesn’t mean progress — it’s only progress if you are working on the high-priority stuff. Instead of obsessing over the small tasks you need to get done, ask yourself: What is the biggest problem I need to solve right now? Maybe it’s an issue with your health, a problem at work or an issue with your family. Whatever the matter is, you need to put aside the small stuff and deal with it, says Tank. “You need to give yourself time — space to pause and reflect and find your biggest constraint — whatever you are dealing with, and focus on solving that constraint and taking care of that opportunity,” says Tank. Sometimes solutions to major problems come to you while you are doing nothing, says Tank. In fact, he recalls a night when he and some employees went to a wedding together. While they were at the reception, they thought up a solution to a major problem they had been trying to tackle for months. The idea, recalls Tank, just popped up while they were having fun together. He says the company now has weekly lunch get-togethers and monthly outings where his employees can unwind and have more fun together. The CEO has seen his employees waste too much of their time being busy. The problem, he observes, is addiction. Tank says he was a former busy-addict himself. He used to spend his weekends constantly looking at his phone, he recalls, instead of paying attention to his wife and two young children. He says he solved the problem by turning the internet off on his phone during the weekends. “Disabling the internet really helped me with having better weekends with my family,” says Tank. Tank says that making more personal time for himself and his employees has taught him that busyness doesn’t equal success. Deal with your most difficult problems. Often, we ignore overwhelming problems by burying ourselves in busy work. If you are constantly busy, ask yourself if you are putting off a major dilemma, such as a health concern or an issue at work. Get over your ‘busyness-is-a-badge-of-honor’ mentality. Our modern-day culture treats busyness as a badge of honor. But when you waste time on things that aren’t a priority, you often neglect the bigger problems you need solve. Stop thinking you need to be busy to make progress. When we busy ourselves with lots of small things, it’s easy to believe we are making progress. Instead of obsessing over the small tasks you need to get done, ask yourself: What is the biggest problem I need to solve right now? Confront your addiction to busyness. When we allow ourselves to be constantly overburdened and overstimulated, busyness becomes an addiction. Turn off your phone and any other distractions that may be driving your addiction, and reserve time for yourself where you do nothing at all.